Surrogate 2013, Lumber, concrete, earth, plants. 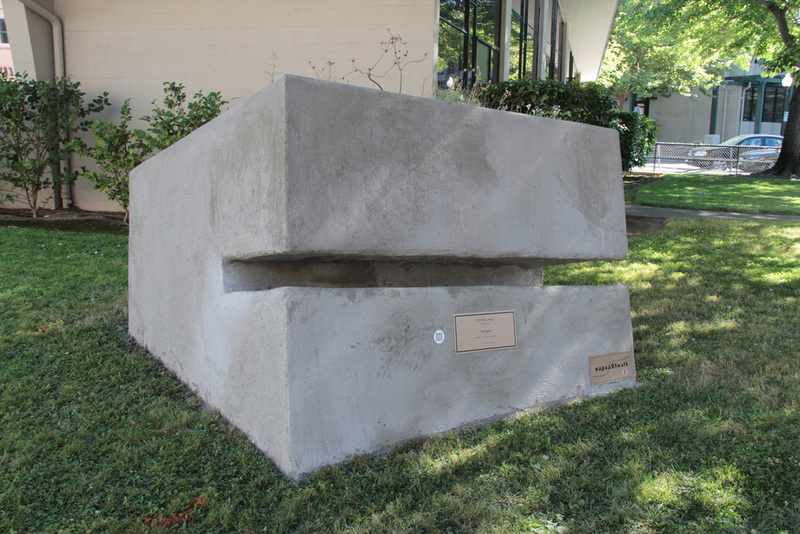 Surrogate 2013 is a public reconfiguration of the sculpture of the same name from 2010. 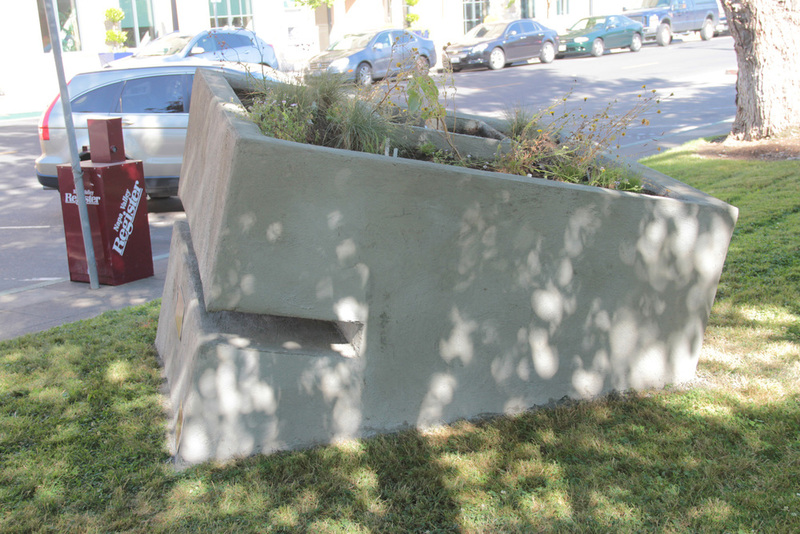 This incarnation was installed in front of the Napa Valley City Hall as part of the city's ARTwalk. The concrete structure is modeled after base end stations. Like those constructed on the Pacific Coast as part of war preparations during World War II the bunker is disintegrating and sinking into the landscape. Its form references the brutalist architecture of WWII and minimalist sculpture that followed shortly thereafter. 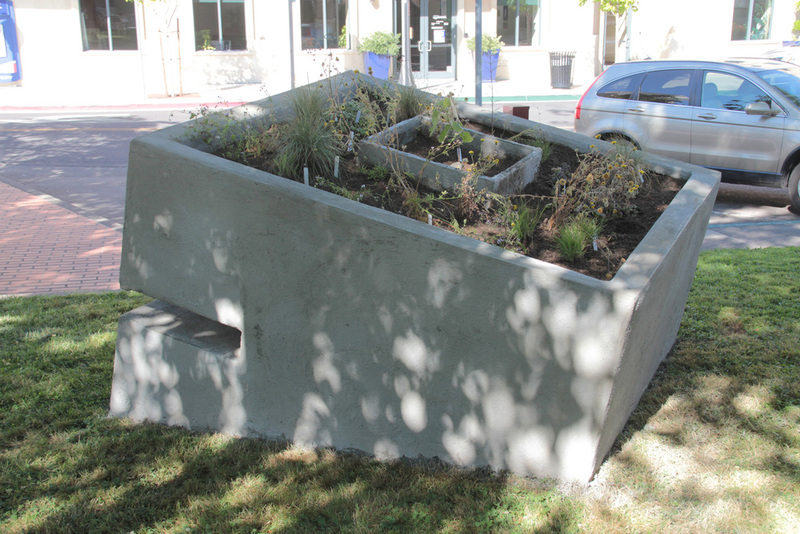 This version of "Surrogate" has a duel purpose as sculpture and planter bed. Paying homage to the victory gardens of the WWII era and the contemporary interest in urban farming, the hollow of the form is filled with dirt and has been planted with indigenous plants. Over the course of the two years the plants can be harvested and some will overtake the form. The audio that accompanies the work is an ambient audio collage of field recordings from the Northern California Coast. The soundscape moves from day to night, sun to showers, in an accelerated timeline that imagines the further dissolution of the bunkers into the landscape. The audio can be listened to below.